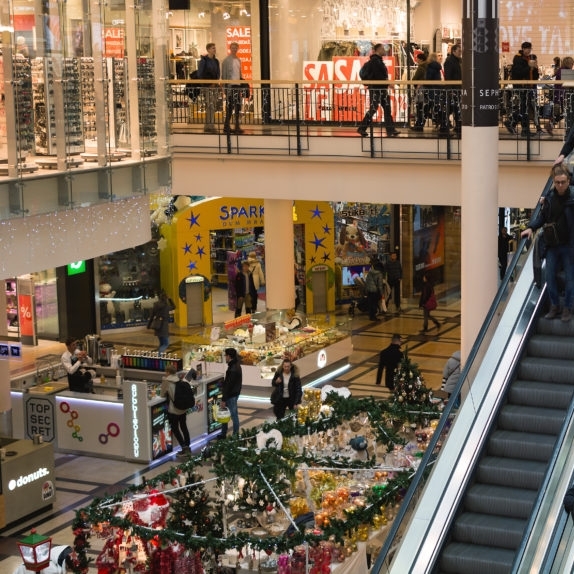 The holiday shopping season is in full swing, and today we’re going to talk about some more ways you can stay safe, especially while shopping. Here are some tips which can make shopping safer. When you shop with others, especially with children or teens, always have a backup plan to meet somewhere. Sure, we’re all connected, but cell phone batteries can die. Some families always pick the snack bar or a favorite shop. If you’re a person who keeps a little cash as a tip, to the needy or the bell ringer, tuck that away in a separate place from the rest of your cash. Keep cash and cards in separate locations, too, if possible. There are two reasons for this: first, because it doesn’t reveal where you have the bulk of your cash or cards. Second, because it prevents you from fumbling. Fumbling is a form of distraction. Remember the old two-person pickpocket scam? One would create a distraction, and the other would slip through the crowd emptying pockets? Distraction is the oldest trick in the book. Since we’re so busy now; we don’t even require a dog balancing a ball on his nose to lose awareness of our surroundings. Fumbling, as we mentioned before, makes a shopper an easy mark. So does chatting on the phone, dealing with kids, or anything else which takes your mind from your current situation. There’s a way to fight being distracted which is easy: be aware when it’s happening. That silly little thing where you use one hand to hide the number when you punch it into the reader--do it. Thieves have become experts at setting up fancy skimmers with cameras. Check bank balances frequently. I know people who check their balances every day. The faster you catch fraud, the better off you are. Shop through secure sites you trust. Credit cards can offer some protection against fraud but always keep a little money on hand. No one wants to need gas late at night and have their credit cards declined. If you have a little cash in your wallet, many times purse snatchers will grab the money and leave the cards in the purse before they dump it. We hope that you all have happy and productive shopping trips. Be safe and have a fantastic holiday!